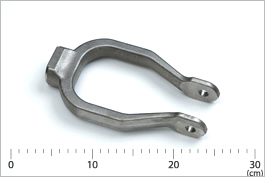 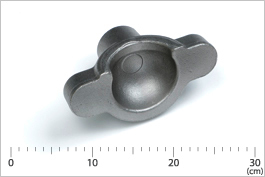 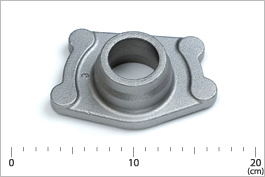 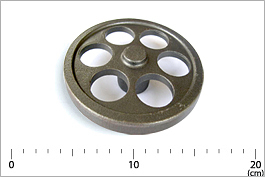 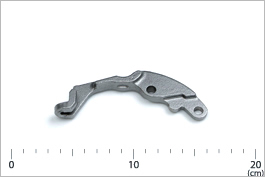 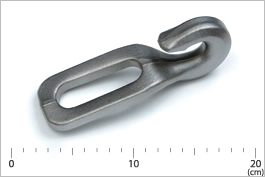 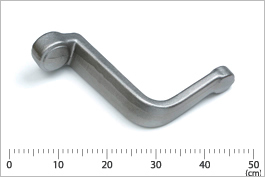 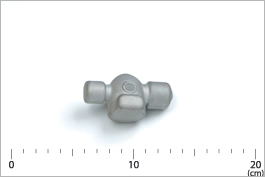 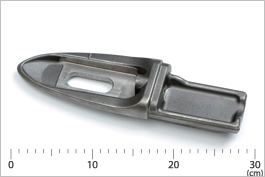 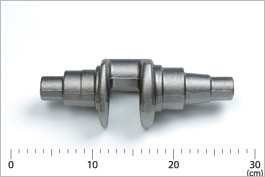 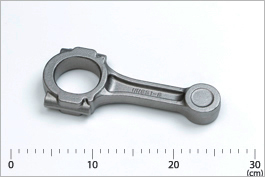 We manufacture products weighing up to 20 kg, using press and hammer die forging machines. 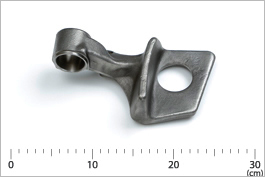 Utilizing the best features of pressing and hammering we combine cold forging and coining based on the CAE data, to create a specific manufacturing method ideal for products required by customers’ specifications. 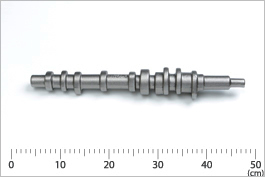 We carry out production processes of direct quenching utilizing forging temperature, heat treatment, such as normalizing and annealing, shot blasting and to machining.